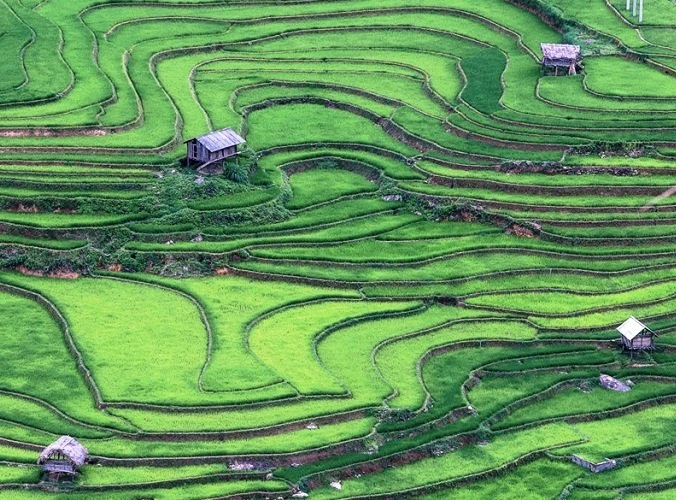 Explore the spectacular landscapes of the northern mountainous region Sapa, Bac Ha, Ha Giang and Ba Be with the limestone formations and the Chay River Massif. Observe the fascinating culture, customs and way of life of different ethnic minority groups living in Vietnam's far north. Notes: Train schedule is subject to change. Private compartments on request at surcharge. Cabins are shared with other local passengers (unless private cabin is requested and all berths paid for - with supplement). Restrooms at either end of the carriages complete the local experience. Early morning (approximately 06:30 hrs) arrive at Lao Cai, the border town to Yunnan, China. The journey starts with a 38 km drive on winding roads up the mountains to Sapa, located approx. 1,500 m above sea level. 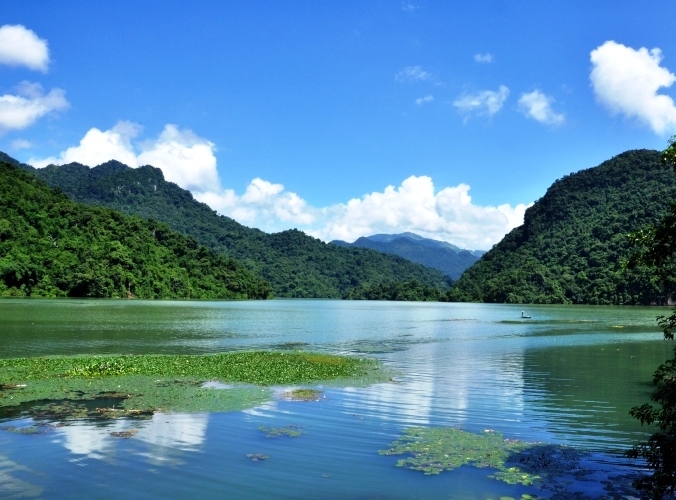 On clear days you can see the highest mountain of Vietnam, the Fansipan. After breakfast, drive from Sapa town down to Lao Chai village. 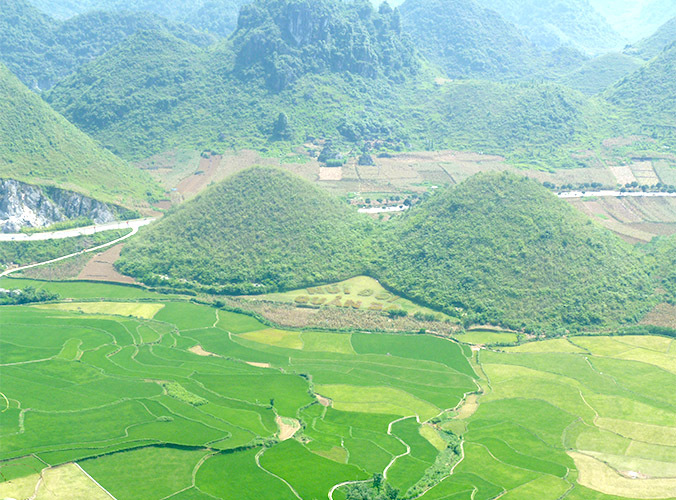 Views of the Muong Hoa Valley and magnificent surroundings of mountains and rice terrace fields can be seen from this road. Along the road, people from many ethnic minority groups (H’mong, Zay, and Red Dao) are likely to be met, and there are stalls along the way that serve tea, fruits and sweets. Soon after turning off the main road and taking a local path, we will arrive in the Black H’mong village of Lao Chai, where you will experience the daily life of the villagers. Continue walking from Lao Chai to Ta Van village, where the Zay hill tribes live. Here you take a rest and enjoy a delicious lunch prepared by your local guide in a local house. After lunch continue your trek through a bamboo forest and then relax at a waterfall. Explore the Red Dao village of Giang Ta Chai where you will also have the chance to see their daily activities. Return to Sapa. Starting from Sapa, you will first visit the Can Cau market, located in the mountains near the Chinese border. Although small, this market is extremely colourful. You can see many ethnic minority people going to the market from their villages to sell or buy goods. The Flower H’mong minority is the most common here; adorned with their colourful dresses and jewellery and you will have endless photo opportunities. Take your time and stroll through the market. Proceed to Bac Ha for lunch. In the afternoon, enjoy an easy trek to Ban Pho village and visit the old castle of the former H’mong King. 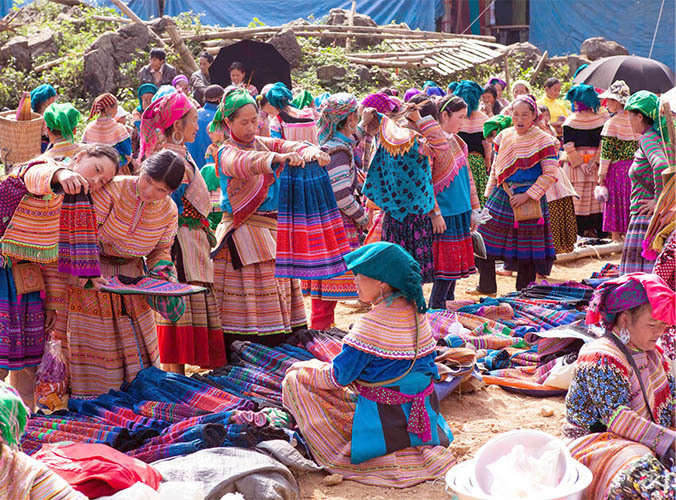 In the morning, we will visit Bac Ha market, considered one of the most colourful ethnic markets in the Northwest. Flower H'mong, Phu La and Dao Tuyen minorities gather every Sunday at Bac Ha to buy and sell their handicraft products and fresh produce. We then set off on a full day journey through Sin Man and Hoang Su Phi to Ha Giang town. The rough but scenic route traverses a dense jungle before crossing over a pass and descending to Sin Man. Along the way we may encounter the Nung Ing, Tay, Red Dao, Dao Ao Dai, La Chi and Co Lao, just some of the many hill tribe groups who have settled in the area. The remote region of Dong Van and Meo Vac is a land of rugged mountains and beautiful hill tribe villages which have remained unchanged for centuries. Today we head northwest out of Ha Giang Town towards this northernmost tip of Vietnam. The former H’mong royal house at Sa Phin is a primary attraction of the region, but the blend of the hill tribe people's colourful costumes and the majestic mountainous scenery make this long and sometimes bumpy trip an unforgettable experience. Today, the journey takes you through the rolling hills and the picturesque scenery to Ba Be National Park. We will visit Dong Van town before crossing a stunning mountain pass to Meo Vac which is inhabited mostly by the Lo Lo and Pu Peo ethnic minority people. They still retain their centuries old cultural traditions and are recognisably distinct from each other by their dress. The remoteness and the simple lifestyle of the area’s local people are highlights of Meo Vac. Living conditions are very basic here. Roads are bumpy and zigzagging through the mountains, but the journey is more than rewarding. 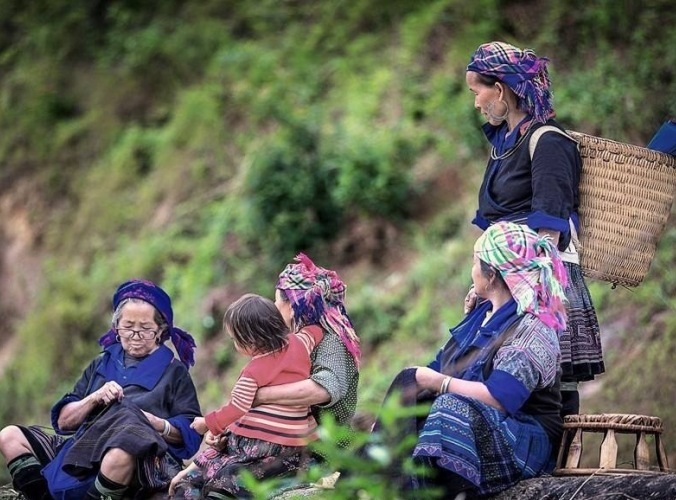 Meet the locals and learn more about the life and culture of the Hmong, Dao, Tay and Nung ethnic minorities who make for the main population in this region. Surely, your presence will attract the locals’ attention as this part of the country that still receives very few visitors. Depending on road and traffic conditions, we arrive in Ba Be by late afternoon or early evening. After breakfast with a local family you will board our boat for a trip on the Ba Be Lake. Cruising on Ba Be lake's green waters you visit the fishermen who work from their dug-out canoes. Passing Peleng corner we will cruise further to Puong Cave, home to thousands of bats before we trek through H'mong and Zao village of Cam Ban. We will continue to Cam Ha village where you can observe the peaceful life of the Tay people amongst the green rice fields. We have a lunch in the local restaurant near the Dau Dang water fall. Coming back to Ba Be lake you will visit An Ma temple where Mac command in chief is commemorated. We will trek through Ba Be rain forests and climb a tower to get the best photos of the Ba Be area. We return to Bo Lu village by for dinner and overnight. After breakfast we will stroll along the riverfront, visit lovely Pac Ngoi village where most Tay people keep traditional houses and hike the upper reaches of the lake, in an area marked by massive limestone cliffs and mountains. Later our car driver will take you to “Pass” then stop so you can take amazing photos of the terraced fields. After lunch in a local restaurant we also pay a visit to the majestic Đền Đuổm Temple, built during the Ly dynasty to commemorate the national hero Duong Tu Minh. We continue our journey back to Hanoi, arriving there at around 5.00pm.